Are you stuck home because you can’t bring your glider overseas? Rent a hang glider in Europe. Do you have a glider to rent out? Get in touch with us for putting your ad here. A very well tuned Moyes Litespeed RX3, all carbon except the front leading edges, in good condition is available to rent during the summer flying season 2019 in the Alps. 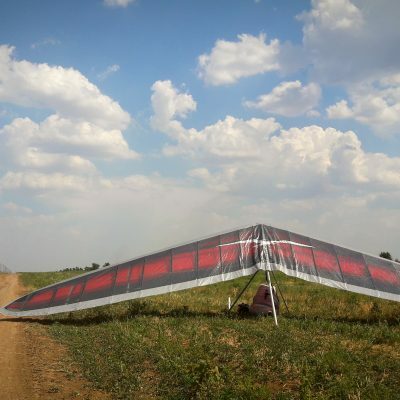 This glider size suits pilots weight of about 50-70 kg. Located in the south of Austria, close to the Tolmezzo and Gemona in Italy where the Worlds 2019 will take place.